Dark Horse is proud to announce a new line of licensed products based on HBO's award winning television series Game of Thrones, which is adapted from the best-selling epic fantasy book series A Song of Ice and Fire by George R. R. Martin. Follow us to the vast world of Westeros, where the kingdom's seven noble families vie for control of the Iron Throne. Delve into the mystery, love, suspense, treachery, greed, and magic that has captivated audiences and readers alike. Now you can bring a piece of Westeros into your own castle with our new coasters, mugs, patches, and more featuring characters and sigils from the kingdom's noble families. 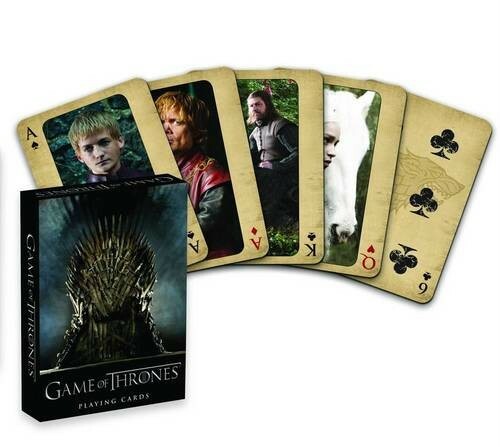 These items are a must-have for any Game of Thrones fan.